"My colleagues and I have dubbed this "the best book ever" thanks to the clarity it brings to the loaded practice of content modeling." "This is a must read for anyone who is designing and looking to have great product." "Atherton and Hane clear a lot of misconceptions about content, showing how to structure content so that it is maintainable, elastic, and targeted." 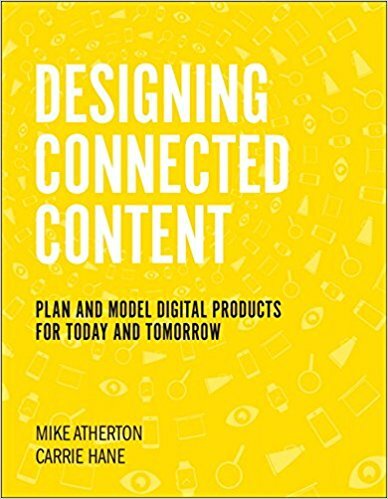 "If you are working on a website redesign, this book will serve you well in making sure you don’t head down many bad turns in getting to a robust design. If you are building Content Services Platforms, then you need the techniques in this book to help you build a flexible, holistic, model." Bring the ideas of Designing Connected Content to your group, organization, or event.